The Ducks are still searching for a replacement for Mariota. With the conclusion of the NBA and NHL Finals, baseball has taken center stage, meaning that football is right around the corner. Bringing with it many questions, hopes and fears for Oregon fans. Is the Pac-12 the best division in college football? Can a team without a definitive quarterback take them to another National Title game? 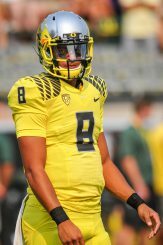 Will Oregon put up the same eye popping numbers without Marcus Mariota? Phil Steele has attempted to quantify some of these questions — to some degree — with his Experience Chart. The system gives each team in the FBS a score based on their degree of experience, calculated by the number one and two players on the depth chart of a given team. ESPN’s Chantel Jennings looked at the Pac-12 rankings to see how the west shook out. Utah topped the Pac-12 coming in at an impressive no. 8 in the country with 11 senior starters and five senior second string players. The Ducks unsurprisingly did not fare as well, ranking no. 93. While they are starting nearly as many seniors as Utah (10) their single largest group is sophomores in the second string (11). The sophomore running back is already in the Heisman conversation. Steele and Jennings both acknowledge the flaws in the system; largely that it accounts only for experience but not any other metric. For example, Royce Freeman is slated as Oregon’s starting RB costing Oregon a point on the index, but any program in the country would gladly take a hit on a spreadsheet to start the potential Heisman winning sophomore. If experience can be calculated, albeit not perfectly, we can combine Oregon’s score with another preseason game that fans love to play, the preseason rankings or FPI (Football Power Index). The FPI includes the information gathered in Steele’s Experience Chart along with on the field numbers and intangibles such as recruiting and coaching tenure. Buckner and the experienced defense cannot afford to break in 2015. Oregon’s low score in experience was more than made up for in FPI where they are currently no. 6 in the country. 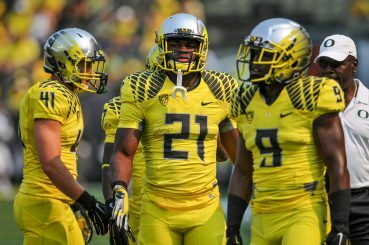 Using last year’s numbers, the Ducks are projected for the third best offense and 29th best defense in the country. It is likely that we will see a rise in that defensive number as the Ducks have addressed a number of concerns on defense in the offseason. 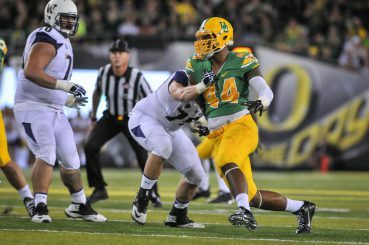 The Ducks are starting only three underclassmen on the defensive side of the ball and returning the talents of Joe Walker, DeForest Buckner and Reggie Daniels. In the end, all the speculation, number crunching and predicting will reveal very little of what will actually unfold in the upcoming year and beyond. The quarterback puzzle that will be resolved soon with the impending arrival of Vernon Adams Jr. will be reopened at the end of the year. 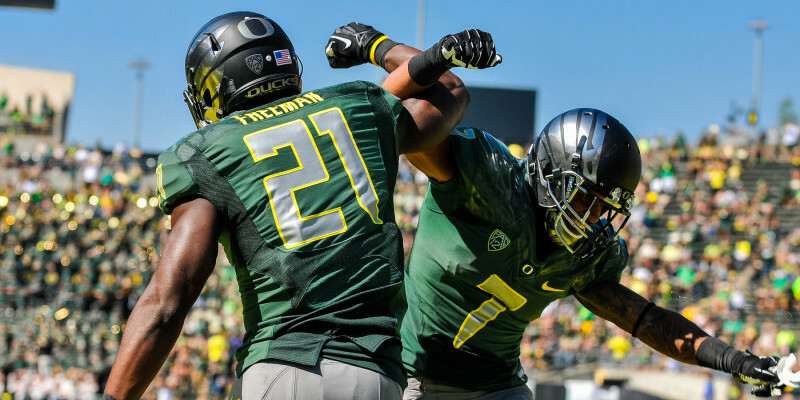 The offensive line (heavily laden with sophomores) will be pivotal in allowing Freeman as well as Thomas Tyner to take pressure off of the passing game and the bend but not break mentality of the defense will be tested as the Ducks no longer have the legs of Mariota to rest on. Questions abound, answers are around the corner and the Ducks are on a mission to make the numbers a lie and finish the year on top, despite what any chart has to say.